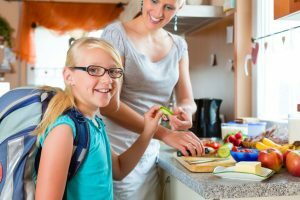 It’s that time of the year: Kids go back to school, and that means they will be exposed to all kinds of viruses and bacteria – and bring them home to you! Moms need a healthy immune system, or support to build one, when kids go back in school. Things can get a little hectic with all the schedule changes due to for getting ready on time, meal timing, school transport and emotional demands. You can’t afford to get sick. Children who are starting school for the first time are often prone to getting sick because they are new to the environment and all the “new bugs” in it. Exposure to some germs will help a child build immunity, but schools are potential breeding grounds for so many germs that it may overwhelm immature immune systems. Kids touch their mouths and noses and other body parts, then share items like their food and drinks, books, flashcards, crayons and toys. Older kids are also exposed in the classroom and the locker room. 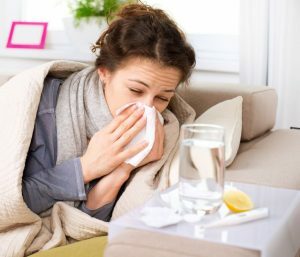 One can get a cold or virus and pass it around, so many others become sick too. Before you know it, your whole family is home sick. Make sure that your kids know that they should wash their hands several times a day with the soap and warm water, especially after using the bathroom, before every meal and when they get home from school. If someone at their school is sick, coughing or sneezing, tell them to stay a distance away from the individual. Also, teach them to cover their mouth with a tissue whenever they cough and sneeze, or to sneeze into the crook of their elbow rather than their hands. Wash their hands often anyway. Your kids should be taught it’s the best practice to eat only their own food and drinks, and to avoid sharing personal items such as lipstick and towels. Hand Sanitizers are usually unhealthy chemical products that don’t help build up the immune system, or even kill germs well. The immune system weakens when you don’t get enough sleep and have a poor diet. School-aged children should get 9-11 hours of sleep a day and adults around 7-9 hours to repair their cells and stay resilient. A healthy diet is a key. Make sure that you and your family get enough of fresh fruits and vegetables. Protein and healthy fats are necessary, but sugar will deactivate immune response so skip sugary snacks in the lunch box. Healthy Kids’ Snack – Chia Seeds are versatile as a nutrition-booster because they take on the flavor of any liquid they are added to. Chia makes an especially easy fruity pudding when a couple of tablespoons of chia seed are added to a cup of any juice along with some berries or fruit chunks. Let this mixture set for a few hours or overnight in the refrigerator for a nutritious breakfast food or snack. A teaspoon or two of chia seeds in a smoothie gels up slightly in a few minutes to boost the Omega 3, protein and mineral content. See more recipes on our Chia seed pages. You also need a good Vitamin C supplement. Camu-camu is a natural berry from the rainforest, and is one of the highest plant sources in the world for Vitamin C. As a powder supplement you can add it to smoothies or mix it with water, yogurt or applesauce. You can also build up your immunity. Herbs were used in traditional diets to support various body functions. The immune function is an easy one if you know what to do. Tonic Supreme is a super alkalizing liquid which helps to promote a healthy immune response as well as digestive and respiratory health. It provides great support for you and your older children. You can add it to foods like soups, sauces, salad dressings or drizzle it over vegetables or proteins – or simply take 1-2 tablespoons in water a couple of times a day. Black seed oil in capsules is another great option. Black seed oil has a high natural concentration of essential linoleic and linolenic fatty acids which cannot be synthesized by our bodies and are necessary for optimal health. As an anti-inflammatory supplement, it is also excellent when there challenges to the respiratory system. Support your own health and your family’s for a great start back to school and a healthy year.